Fortress Of Freedom Board :: View topic - MORE VISION Starts First Advertising Campaign! Part 2. MORE VISION Starts First Advertising Campaign! Part 2. Posted: Sun Dec 09, 2007 9:33 am Post subject: MORE VISION Starts First Advertising Campaign! Part 2. MORE VISION has started it's first advertising campaign! 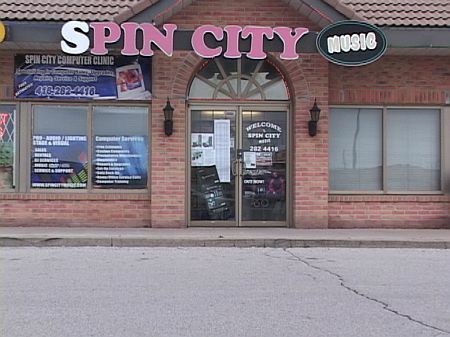 Our first client is "Spin City Music." Spin City Music is a Toronto based audio shop specializing in pro audio sales and rentals as well as popular CDs and audio accessories. We have just finished a 15 second TV commercial for this vendor and will get specifics as to airplay shortly.